Idlib, Syria – As the Syrian Arab Army (SAA) makes some vast advances in liberating Idlib and the surrounding areas, groups supporting Syrian Al Qaeda (HTS) take to Twitter to ramp up a propaganda campaign against the SAA. A mass produced list of pre-made tweets highlighting ‘atrocities’ that are yet to happen was posted by opposition groups to garner support for Syrian Al Qaeda currently in Idlib fighting Syrian government forces. Entirely fictitious tweets such as these serve the purpose of promoting anti-Syrian government sentiments across social media, in hopes of prolonging the devastating war which has claimed the lives of over half a million Syrians and displaced millions in almost seven years. As the 7-year proxy war against Syria nears its imminent end the Syrian Arab Army along with its allies continues its offensive against the last major opposition stronghold in Idlib. With Russian air support, the progress being made is swift and encouraging. The SAA has seen little resistance from the fractured and often times at odds opposition groups. The dominant terrorist group is known as Hayat Tahrir al-Sham (HTS), which is the former Syrian al-Qaeda offshoot known as the Nusra Front. The Turkistan Islamic Party (TIP) had sent a large convoy to Idlib’s front lines but when they witnessed HTS retreating they backed off as well. It’s very unlikely that these terrorist groups will receive much outside support, as far as manpower is concerned at this late stage. Progress being made on the ground in liberating the entire country of armed opposition factions and freeing the people of these areas from living under inhumane conditions is met with propaganda on social media. Just like we witnessed in Aleppo a little over a year ago with the infamous pouring out of “last messages and goodbye videos” that were made by terrorist sympathizing “Activists”. In what seemed like heart-wrenching pleas for help, fact-deprived sentiments against the Syrian government and their armed forces took over Twitter and other social media platforms by storm. Rather than celebrating the liberation of Aleppo, from the hands of murderous terrorists, these social media actors were spreading misinformation and false accusations in a coordinated effort to cause mass hysteria and opposition to the legitimate Syrian government and the Syrian military. One of the more prevalent fabrications that came out of Aleppo during the second half of last year was the constant “last hospital in Aleppo” stories. Often times, these stories would allege that the Syrian Arab Air Force or the Russian Air Force had destroyed a particular hospital. Interestingly enough, some of these hospitals had stopped functioning a year or more prior to these tear-jerking headlines making their way to front page news. What readers also found questionable was that pictures or aerial maps of these same hospitals were being recycled and reported about continuously. Which led many to question, how many last hospitals are there in Aleppo? It turned into a sort of mockery and stories such as these have helped to uncover the blatant propaganda that has fueled this war. In an effort to garner international support for their cause, these falsehoods have disclosed the true intentions behind the oppositions’ media propaganda campaigns, and an unending war is certainly one of them. A geopolitical Idlib analysis can be viewed on Syriana Analysis with host and producer Kevork Almassian. Twitter, Facebook or any other social media campaign will prove to be a waste of time and effort for terrorist supporting “Activists” at this juncture. Disinformation has been thoroughly debunked and many people around the world are understanding the dynamics of the war now compared to seven years ago. The inaccurately labeled “civil war” and “revolution” has been exposed as a foreign-initiated planned and executed proxy war that utilized hundreds of thousands of hired foreign mercenaries. The vast majority of these people over the last 7 years have either defected or defeated in battle. The remaining opposition-held pockets have dwindled in size and are likely to be liberated by government forces in the near future. Does this mean that the war in Syria will be over once these groups have met their demise? Not exactly, until every inch of the country is liberated from foreign-backed terrorists a victory cannot be rightfully claimed. 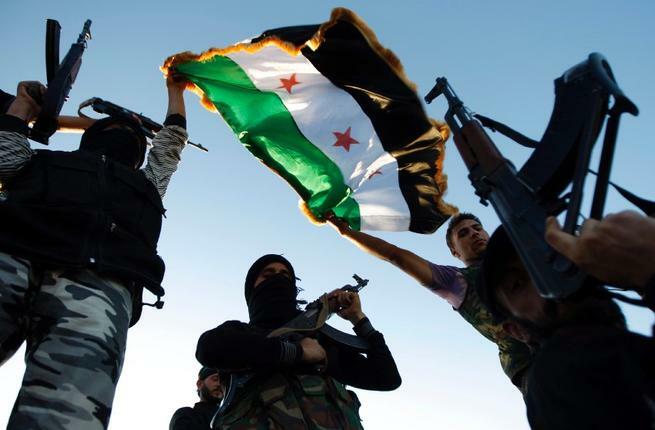 The focus will likely shift to the North Eastern portion of the country which has been dominated by the so-called US-backed and Kurdish-led ‘Syrian Democratic Forces’ (SDF). For those who have been paying attention to the big picture, this soon to be embarked on battle between the SAA and the SDF will be the main one to keep an eye on. An in-depth analysis of how Kurdish armed factions have been used in the past and present to weaken and destabilize the Middle East can be read here. Great article. Forward looking. Forward-looking is very important. I think enough people have come to believe that the foreign invasion of Syria is bogus/based on total fiction to discredit past propaganda as propaganda, but, and it’s a huge “but”, that understanding has to be understood within the context that it is still happening and will be used to justify any manner of “Plan Bs” going forward. Like the Kurdish” statelet east of the Euphrates. BTW, I’ll pick back up on my Patreon support in March. Sorry about that.